Just half an hours ride away from the hustle and bustle of booming Cebu is Mactan Island, a growing attraction to many local and foreign divers who enjoy a superb sea adventure without going any farther from the city. One hardly expects that highly urbanized Cebu has a marine sanctuary with a lush underwater world to be explored, several meters from the islands shorelines. With a total land area of about 7,000 hectares,the island is a gateway to the Visayas through the Cebu International Airport and is home to economic zones, five-star hotels and resorts, and exotic restaurants. 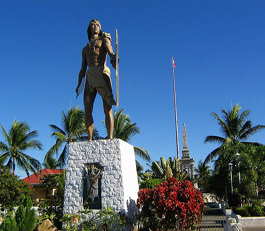 The heroism of Lapu-lapu, who once ruled there, is immortalized in the historic Mactan Shrine. 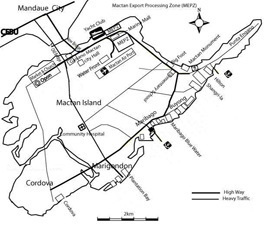 Mactan is connected to the Cebu mainland by two bridges. At least six marine sanctuaries are found in Olango and Hilotongan. The council has proposed to establish five more in other areas, including Barangays Agus, Marigondon and Sabang. The water is very clear and you have all the tropical fish and the corals every diver wants to see. The biggest sanctuary, Talima in Olango, stretches to 14 ha. Together with the adjoining 10 ha Baring sanctuary it forms the largest marine protected area in the entire country. It is home to parrot fish, groupers, mandarin and aquarium fish and many more.